In one of the LinkedIn discussion groups I am a member of, the issue was raised recently about what documents are required when someone has assets or spends time in more than one state around the country. The issue is particularly prevalent in communities near state borders. However it can potentially arise in any situation. Indeed, the issue can also arise across international borders. 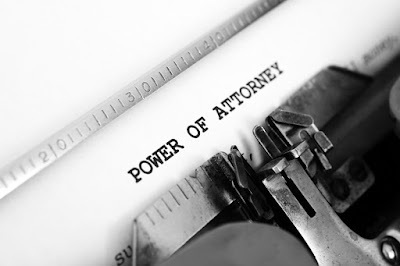 Our view, which seems to align with the general consensus of those regularly advising in this area, is captured succinctly in my earlier post – see How many powers of attorney does it take to create authority? Interestingly, the post from 2011 flags the ‘ongoing push' to have uniform succession laws across Australia. In the five years that have passed since that post, most would agree no progress at all has been made in this area. In adopting the approach recommended in the earlier post of preparing a document in each jurisdiction that a person has significant assets or spends significant time, it is generally seen as best practice to include ‘duplication acknowledgement' wording. For the avoidance of doubt I confirm that I have executed an Instrument Appointing an [#Name of medical EPA in relevant jurisdiction eg Enduring Guardian] pursuant to the [#insert relevant state act] ('the [#insert state acronym eg NSW] [#Name of medical EPA in relevant jurisdiction eg Enduring Guardian]’) for any matter that requires signing by an [#Name of medical EPA in relevant jurisdiction eg Enduring Guardian] duly appointed by the laws of [#Insert state eg New South Wales]. By this Power of Attorney for personal and health matters ('the [#insert state acronym eg QLD] [#Name of medical EPA in relevant jurisdiction eg Power of Attorney for personal and health matters]) I appoint my Attorneys in respect of any personal or health matter not strictly required to be signed by an [#Name of medical EPA in relevant jurisdiction eg Enduring Guardian] appointed by the laws of [#Insert state eg New South Wales]. To the extent there is any inconsistency or overlap between the [#insert state acronym eg QLD] [#Name of medical EPA in relevant jurisdiction eg Power of Attorney for personal and health matters] and the [#insert state acronym eg NSW] [#Name of medical EPA in relevant jurisdiction eg Enduring Guardian], the [#insert state acronym eg NSW] [#Name of medical EPA in relevant jurisdiction] is to prevail and the [#insert state acronym eg QLD] [#Name of medical EPA in relevant jurisdiction eg Power of Attorney for personal and health matters] is to be modified (and its operation suspended to that extent only) for such time as the [#insert state acronym eg NSW] [#Name of medical EPA in relevant jurisdiction eg Enduring Guardian] remains in existence. In all other respects the [#insert state acronym eg QLD] [#Name of medical EPA in relevant jurisdiction eg Power of Attorney for personal and health matters] shall apply and remain in force.